I started my genealogical research in 1989 while living in Reno, Nevada. 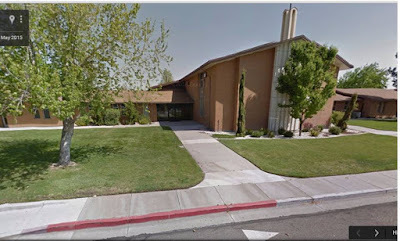 We were fortunate to have a Family History Center in Reno. I owe much of my early success in genealogy to the use of the FHC that was operated by volunteers from the Church of Jesus Christ of Latter Day Saints. The director of the center, Tom Sawtelle had retired from the University of Nevada. He became a mentor to me and I will forever be indebted to him for his encouragement. Tom also helped me to organize a genealogy class that was offered through the community college. He allowed me to offer my class at the FHC. There are more than 4,700 FHCs in 134 countries. There is no cost to visit a Family History Center or FamilySearch Library. They are open to anyone with an interest in genealogical research. They are operated by The Church of Jesus Christ of Latter-day Saints (LDS). I have always found the volunteers in these centers to be very knowledgeable. They share your passion for genealogy and are extremely helpful. I am fortunate to have two Family History Centers close to me: Friendswood and League City. In addition, the Clayton Library is also a Family Search partner facility that can receive microfilm from Salt Lake City. Much of the information that we need to fill in the gaps on our family trees is on microfilm and not yet available online. This is a free educational event that I encourage you to attend.